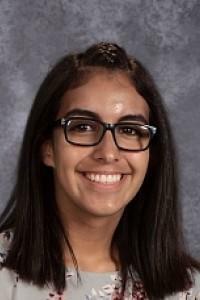 Inle Gonzalez, a sophomore at Hermiston High School, has been selected to serve one year on the executive board of the Oregon Association of Student Councils (OASC). Elections took place at the annual OASC Fall Conference. Ms. Gonzalez will join eleven other youth and ten adult board members from across the state. She will represent the Eastern region. Her duties include planning and presiding over two statewide conferences, communicating with schools in her region, writing newsletter articles and participating in policy decisions for the association.